1) My biggest bookish moment which also my biggest blogger moment was went a publisher listened to what I had to say about a book. 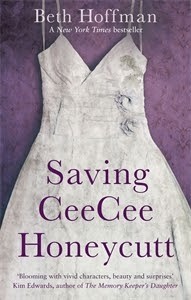 I was desperate for Saving CeeCee Honeycutt to be published in the UK and I couldn’t understand why none of the publishers had picked it up. So I contacted Jenny Parrott at Little Brown and she listened to what I had to say. She not only listened though, she went on to acquire the UK publishing rights to the book. I was stunned. I actually cried when I found out. That I had the power to make that change as a reader and a blogger was monumental. 2) My daughter reading a book that I have recommended to her. This was one of those heartfelt moments when one of my girls wanted to read something that I thought she would love. I chose Skin Deep by Laura Jarrett. I was worried that perhaps I had chosen wrong, but within a couple of days she was as excited by the story as I was. We could actually sit and discuss the book. A moment I will always cherish. 3) Being credited in the acknowledgements of a book. I had no idea this was going to happen. So imagine my surprise when I opened FrostFire by Zoe Marriott and discovered that she was thanking me! I was gobsmacked and stunned beyond belief. 4) Going to my first book launch. 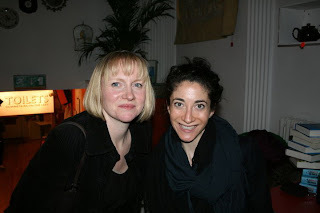 I was lucky enough to be invited to Lauren Oliver’s debut launch for Delirium in London. I was a little awestruck by this magical author who oozed confidence and mixed easily with her future readers. I had never been to anything quite like it before and I was so grateful for the opportunity. 5) Twilight – I can’t write this list without discussing Twilight by Stephanie Meyer because as corny as it sounds this book actually changed my life. Before reading it, I very rarely read. I didn’t buy books and I most certainly didn’t visit the library. Yet after picking up this book I was hooked. I devoured the whole series in three days while recovering from a rather nasty sickness bug. When I finished Breaking Dawn I had to have more and my obsession with YA and fiction in general was born. 6) Seeing a character with my name. My name is quite rare, well the spelling of it definitely is. I have only ever met one other Vivienne with the same spelling and I have never seen it in a book. Author Keris Stainton came to the rescue and had an author in her book called Vivienne. It was fine that she was a minor part and I am pretty sure Keris never used the name because it was mine, but it was so lovely to finally see a character called Vivienne. 7) Appearing in the Bookseller. My review for Wonder was picked up for the blog of the week spot in the Bookseller and I was in complete shock. I was just a lowly blogger who didn’t shut up about books. I never ever expected to appear in such a prestigious publishing paper. I was ecstatic over that for weeks. 8) Meeting Amy Plum. For some reason meeting Amy Plum was one of my biggest author moments. I met her at Foyles during a Creative Voice event with some other lovelies, but I had been speaking to Amy since before her debut of Die for Me, (a book I was just a teeny weeny bit obsessed with, much to Atom Books concern). When she arrived she knew who I as straight away and pointed me out and waved. I was completely awe struck. I honestly didn’t know what to say to her. Thankfully she was able to knock me out of my stunned silence very quickly with her warm and charming personality. 9) The first book I begged my parents for. 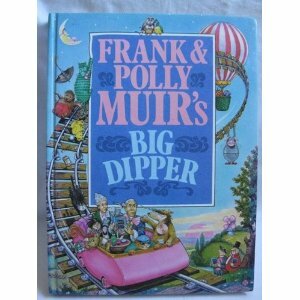 The Big Dipper by Frank Muir. There was a programme all about this book and I loved it. I was so desperate to have my own copy. When I received it for my birthday I read it from cover to cover many times. I wish I still had that book as it was such a comfort to me during my childhood. 10) When someone tells you they read your blog and know you from Twitter. I am always shocked to discover that someone knows who I am before I introduce myself. I am just a mum who loves to read and talks passionately about books. I feel humbled by the support and enthusiasm I receive when someone tells me they actually read my blog. The blog was always just for me to record my reviews so the fact that others take time to read it makes me extremely happy. You have certainly had some huge bookish moments! I've been thinking of you now that Beth's second book is about to come out. I can't wait to read it. I am so jealous that you will all get a copy in the US first. It was a bit surreal to be honest. Thanks Natasha! I have been blessed. I am very very lucky and never forget that. Aw thank you. It was meant to be. It happened so organically - it was quite scary really. Beth is an awesome writer and I look forward to her next book. I'm honoured that the Delirium launch makes your list of top bookish memories!